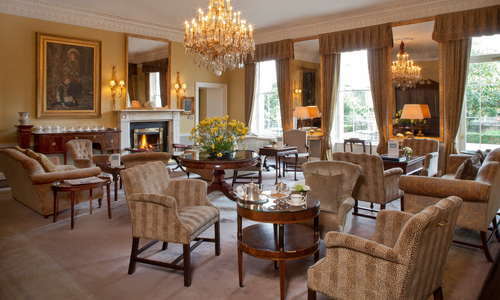 Stately, stylish and splendid, and well-situated directly across from the Government Buildings between St. Stephen's Green and Merrion Square, this luxurious hotel actually comprises four exactingly restored Georgian town houses, which means it also boasts a lovely courtyard garden. There's a real sense of old-school luxury here, but the facilities are up-to-the-minute, with a gorgeous spa and pool, top-class restaurants and even the hotel's own vineyard-produced wine. 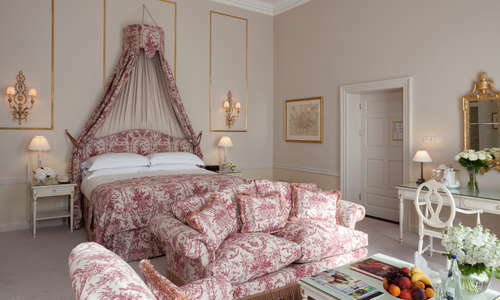 Guest rooms are beautiful and large - some overlooking the city, some the courtyard garden (with Juliet balconies). Tones are beige and muted, with some striped or spotty throws as highlights, and crisp linen sheets on the comfortable beds. 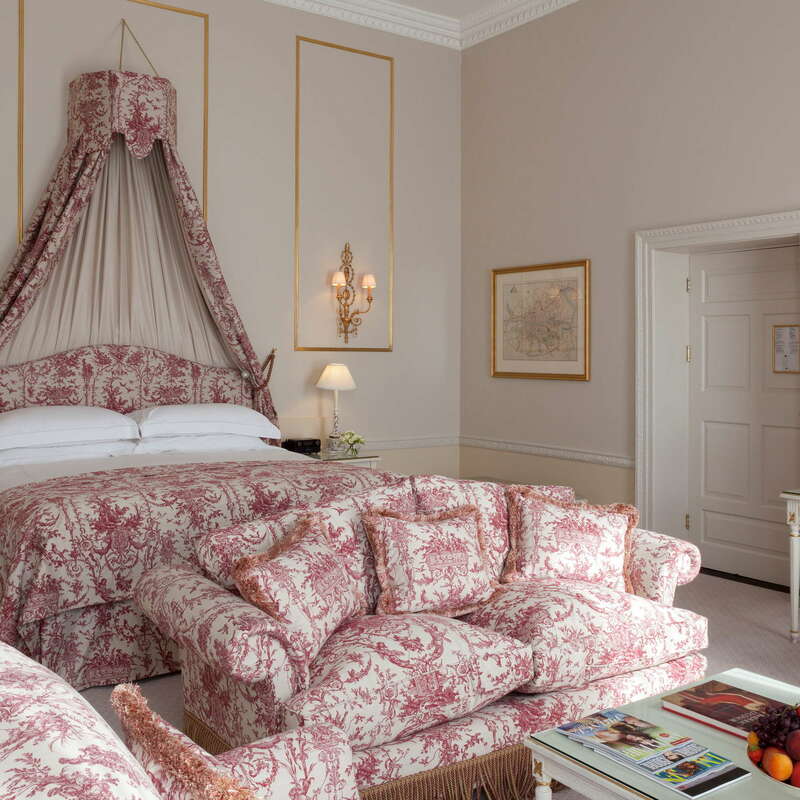 There's a classic, Georgian feel throughout, as you'd expect, with some rooms boasting extra historic wow factor: some are vaulted with delicate Adamesque plasterwork ceilings, and others are graced with magnificent original marble fireplaces. To fully enjoy the historic patina, opt for one of the more authentic rooms in the Main House at the front. Bathrooms, in Carrara marble, are also spacious, and most have showers and baths. Products are by Asprey. 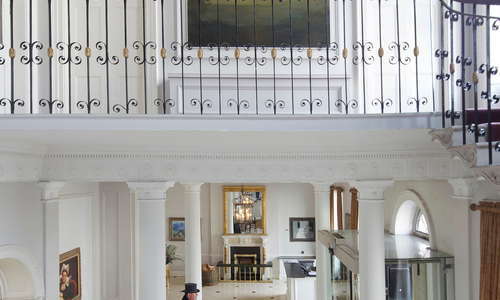 The chic, black-and-cream tiled lobby sets the tone, with attractive stucco work and the original staircase, as well as helpful, efficient staff. Perhaps surprisingly, amid all this fanciness, they are also child-friendly. 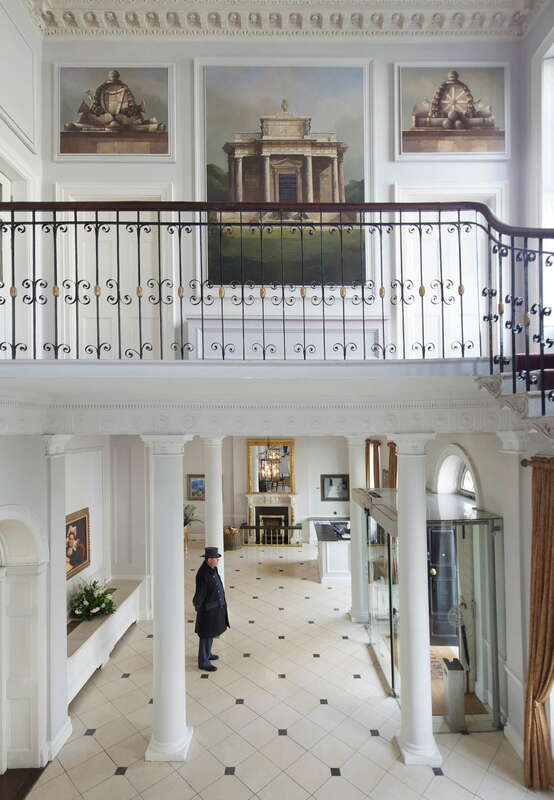 The hotel's owners boast one of the largest private art collections in Ireland, which you can see all around the hotel. There's also a free audio art tour for afficionados. 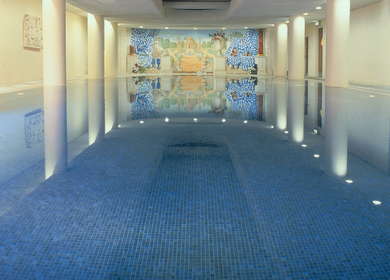 The pool, all columns and blue mosaic tiles, is gorgeous. 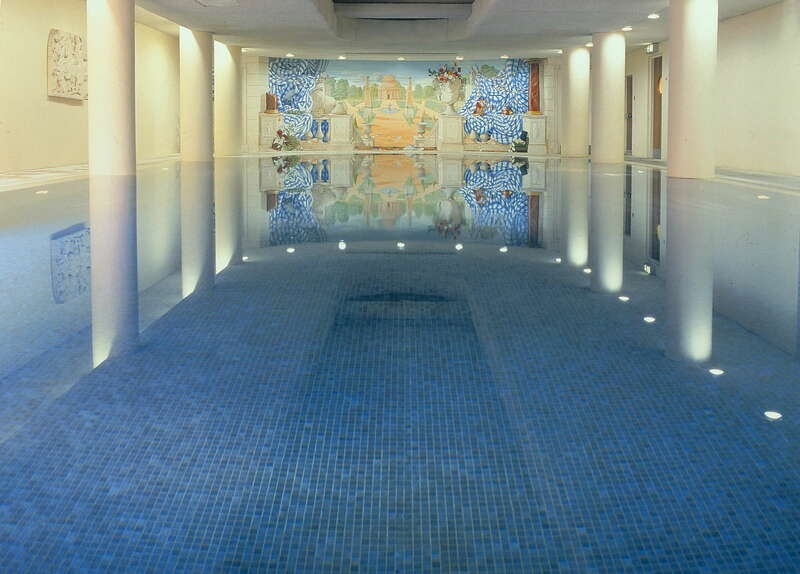 The little Tethra spa, which is being remodeled later in 2018, is also a great place to relax, with therapists available every day and a steam room too. The fitness area is small-ish, but well-appointed, with plenty of machines. 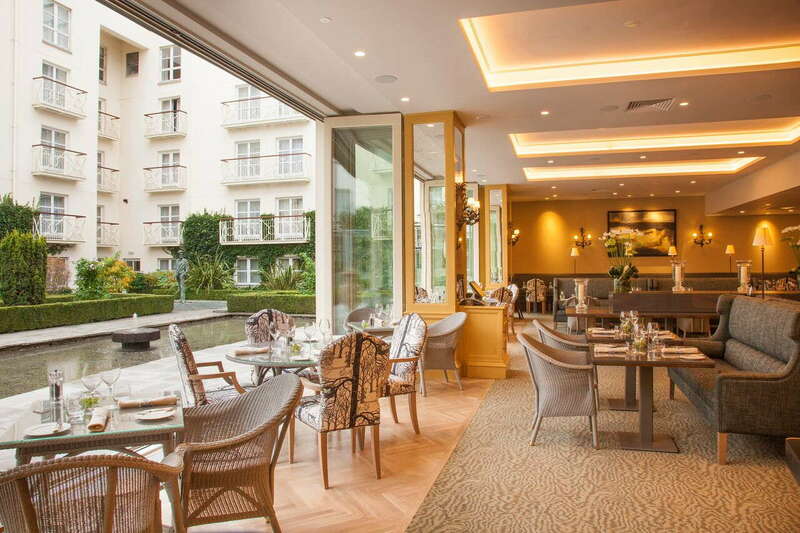 Leading Dublin restaurateur Patrick Guilbaud has his eponymous, Michelin-starred restaurant on the premises, and the hotel also has the recently opened Garden Room, a beautiful and more low-key Irish dining option. 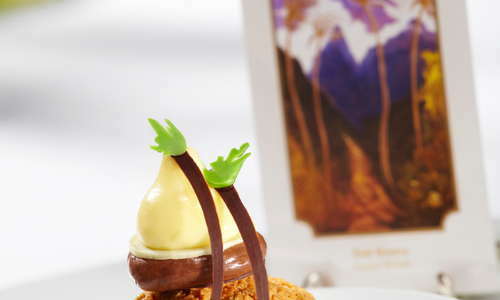 YOU SHOULD KNOW To get a table at the acclaimed Patrick Guilbard, you'll have to book months in advance. 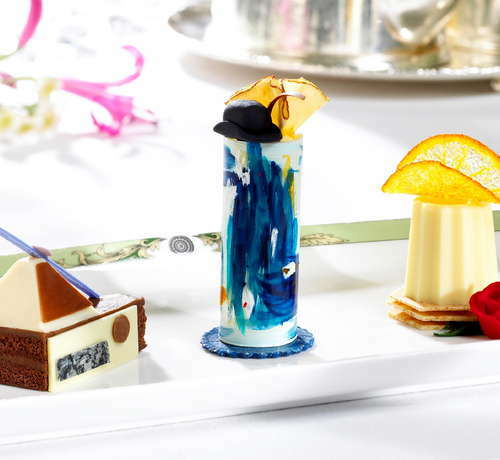 Photo: Art Afternoon Tea, inspired by the largest art collection in Ireland, which sits within The Merrion's walls. 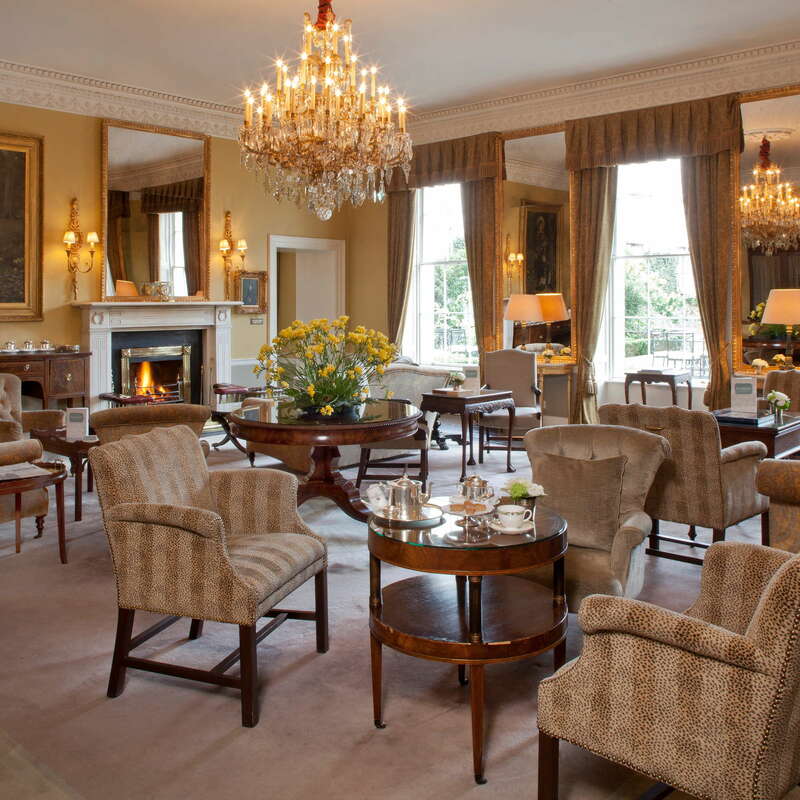 Guests can take drinks or the delicious afternoon tea - inspired by the hotel's art collection - in the gorgeous drawing room, which feels like a period drama set brought to life. 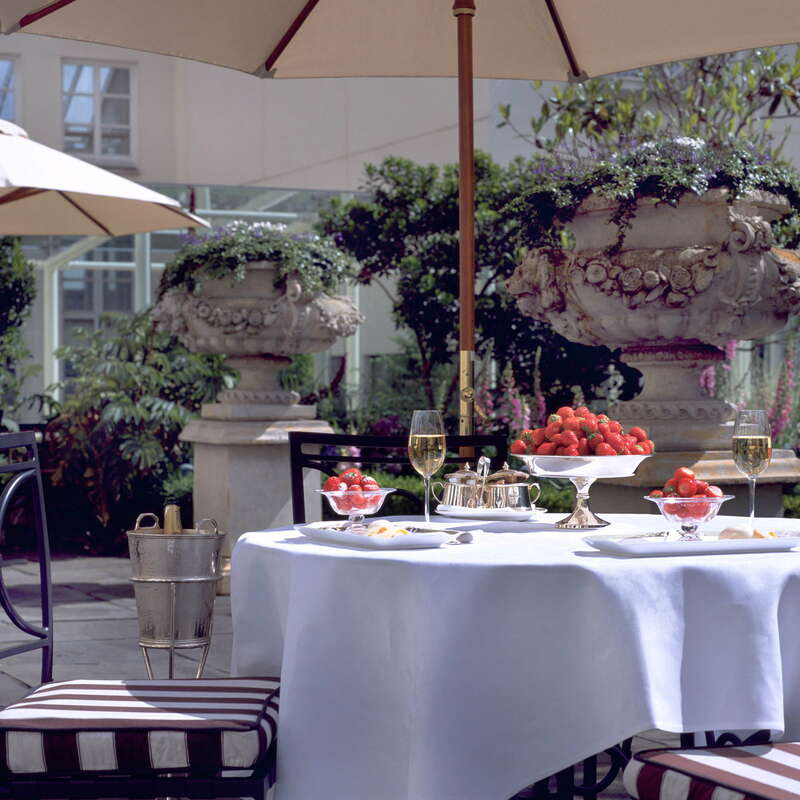 Or the hotel's lovely courtyard garden, featuring a cool James Joyce sculpture, is perfect in summer. Then the bars aren't bad either - No23 feels like a swanky private club, and the Cellar Bar is really something. Situated in the original stone-walled cellars, dating from hundreds of years ago, you can sip a wine or a whiskey and go back in time - the Duke of Wellington's birthplace is above your heads. The bar also serves gastropub-style meals and its own craft brews. The hotel is right at the heart of things - you'll barely need public transport, other than possibly to reach the hotel from the airport, which is a simple 40-minute bus ride from a stop near the hotel, or a slightly quicker taxi. 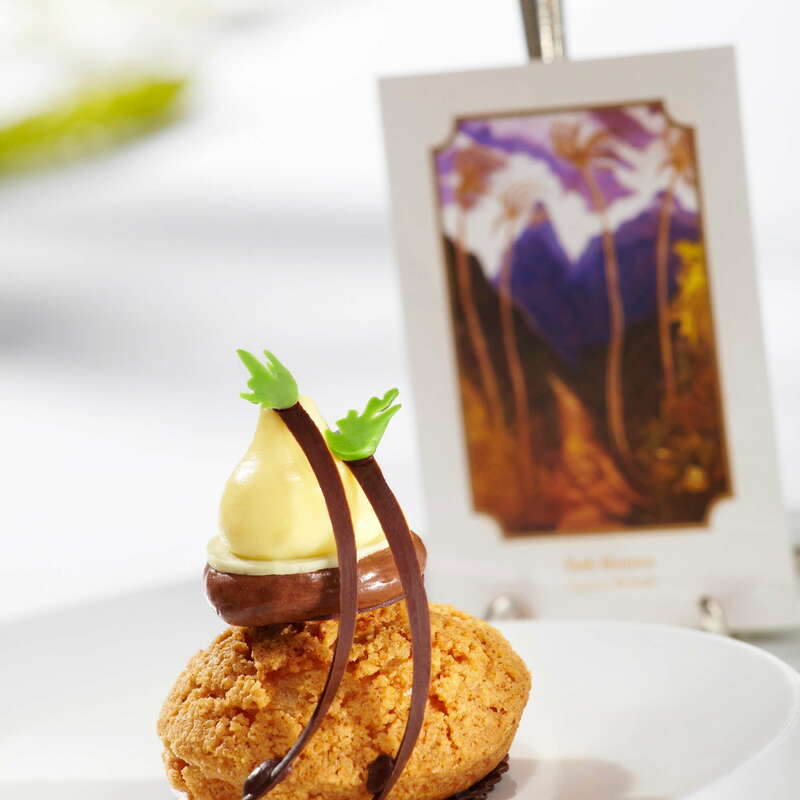 Sample a global menu made with great Irish produce, as you'd expect from a restaurant with the name Farm (10-minute walk). 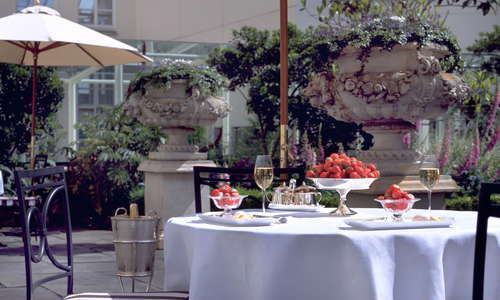 Or treat yourself to some top-end French cooking in a suitably suave setting at Dax (8-minute walk). Doheny & Nesbitt (2-minute walk) is a lovely old Irish pub that also transports you back in time - particularly if you can snaffle one of the cosy snugs. House (9-minute walk) is an elegant grown-up cocktail bar in another townhouse, with a gorgeous fairy-lit garden. Stylish without being stuffy, the Merrion just gets it right. 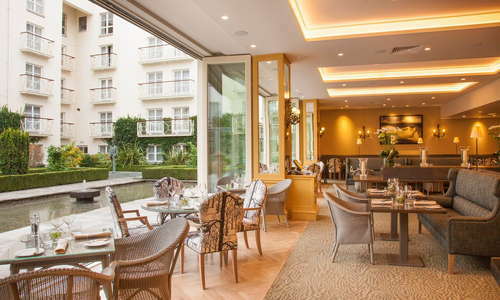 Yes, it's pricey, but it's one of Dublin's top hotels and you get what you pay for, from the beautiful rooms and public areas to the brilliant on-site food and drink offer and pleasant courtyard and spa.